Subscribe to the Abort97 mailing list to keep up to date with important news or upcoming events. Join us at the next Choice Chain event. Contact us or subscribe for details. 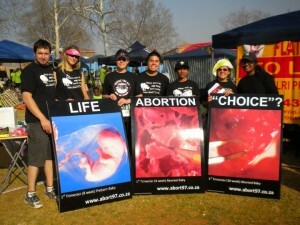 Make a donation to Abort97 to support the ministry. Suggest our Facebook page or the Abort97 website to your friends. Learn about what abortion is all about by reading the information on this website or watch one of the videos.